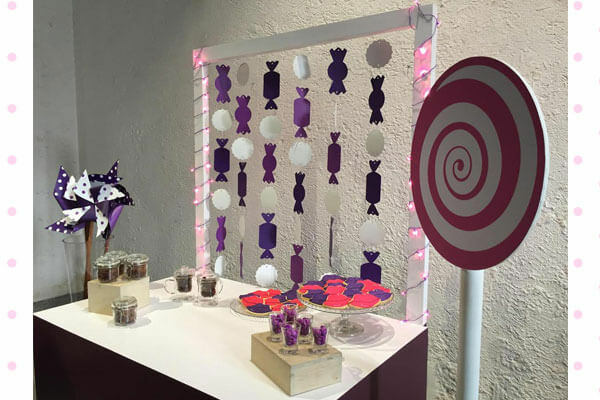 The ‘Candyland’ theme set the tone for the event and the delectable décor absolutely blew us away! 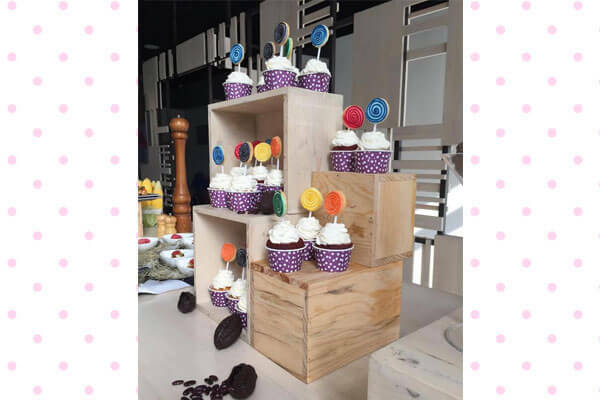 Toffee themed entry stamps, bowls full of candy, carts full of macaroons and a cake topped off with lollipops—it was something straight out of Katy Perry’s ‘California Gurls’ video! 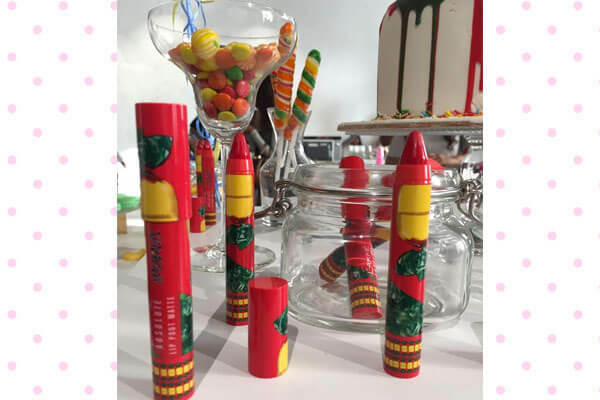 The sugary theme was perfectly in keeping with the Masaba Lips range. Inspired by popular sweets and chocolates from the 90s, there was a station dedicated to each of them. Not very fitting for those of us on diets, there were cups of hot chocolate, caramel cupcakes, cola candies and bubble-gum around every corner. This meant pigging out on candy while trying lipsticks at every station was only an added bonus. 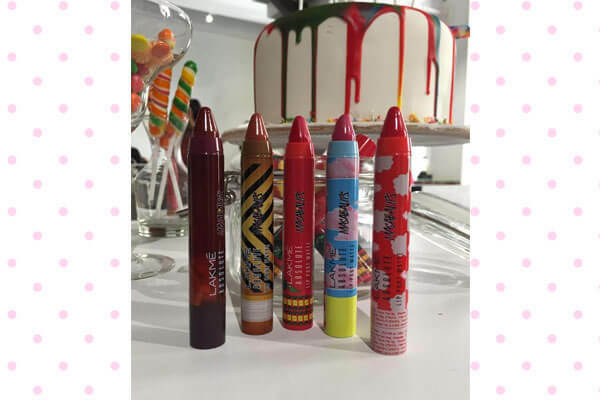 “The packaging is inspired by candy that we’ve all grown up with. 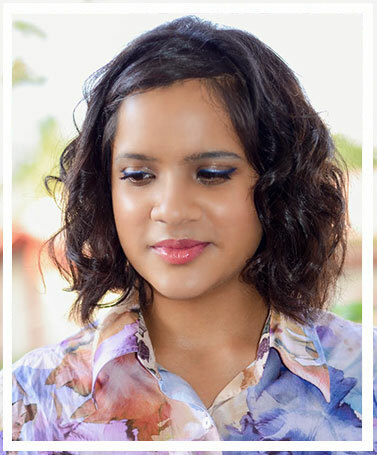 It’s an on-trend line of pop colours that reflect my aesthetic mixed with that of Lakmé’s,” says Masaba. 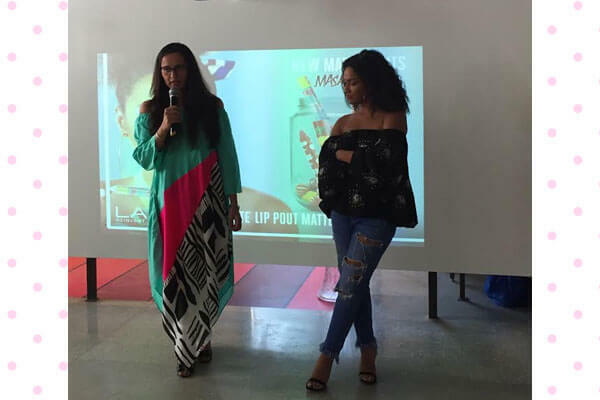 Masaba’s association with Lakmé marked a first of its kind collaboration for the cosmetic giant. 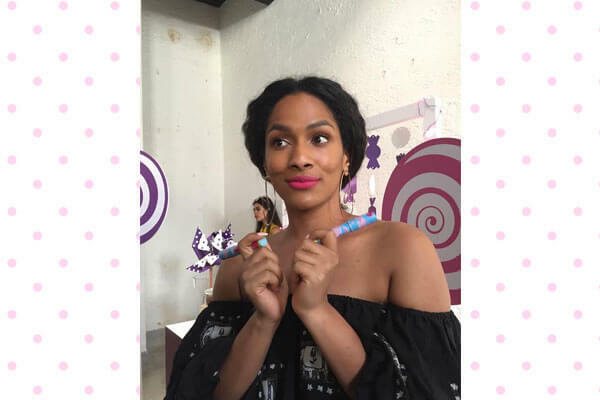 The Lakmé Absolute Masaba Lips range consists of 10 stunning shades with a soft matte finish and 5 different packaging options that have Masaba’s signature prints. 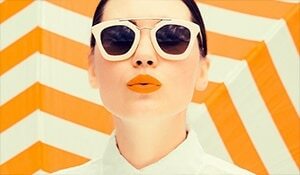 Each duo is inspired by a different 90’s candy like Mango Bite, Big Babool and Rola Cola. So if you ever miss the nostalgia of the era, Masaba Lips will take you back in a jiffy!